Q. 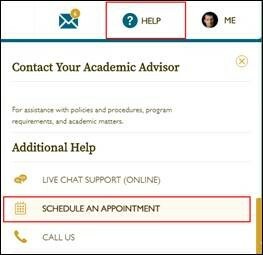 How do I schedule an appointment with my Student Success Advisor? On your myWalden Homepage, click the Help tab. Click Schedule an Appointment on the Help tab menu. Beneath the Student Success Advisor area, select your degree level.